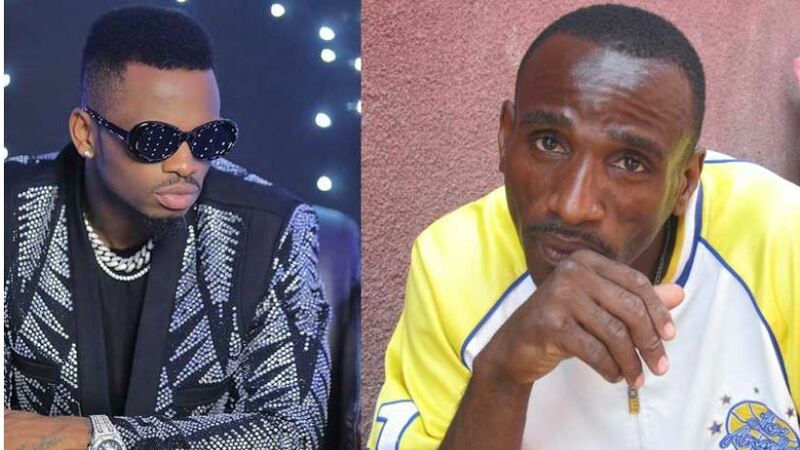 If Diamond Platnumz can sing and become a superstar, so can his father. This must be what the father of the Tanzanian Bongo star was thinking when he decided to venture into music. Yes, Abdul Juma is now a musician who goes by several stage names including Baba Diamond aka Big Lion aka Mzee Mondi aka Babu Tiffah. I’m tempted to add Simba mkongwe but that would just be disrespectful and untrue. Big Lion, who sells Mitumba shoes to feed his wife and two children, has released his debut song “Umeniteka/Mwewe” that features upcoming Tanzanian artistes Sungura Madini, Promis Nyota and Blod Gaz. The jam that caught many by surprise is all the rave in Tanzania and it’s safe to say that Mzee Mondi has received a positive reception. Even the small Lion, Diamond Platnumz, shared the song via his Insta-stories with the caption “Big Lion Kill dem shaa!”. Check out Baba Diamond’s first song below. Don’t hold your breath for anything spectacular.